Quality used saddles for sale at Bethel Saddlery - we always have a selection of used saddles for sale. They will be described as accurately as possible detailing their condition and price. Most western saddles will have front and rear cinch but if the saddle doesn't have all the mounts we will advise you and provide prices to supply or make new mounts. Some of these saddles are virtually new and would suit someone who is unable to wait for a new saddle. We won't sell saddles in an unsafe condition and if items such as stirrup leathers need replacing we will do that at our expense before sending the saddle to the buyer. 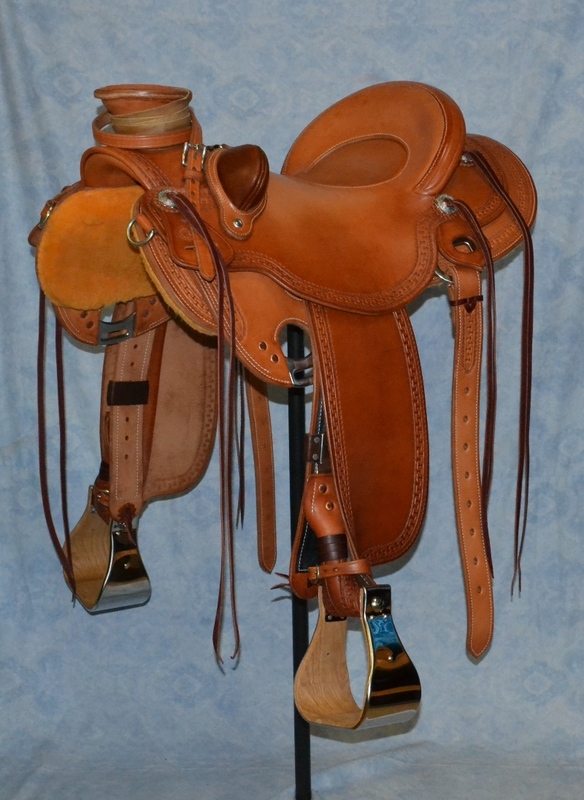 Click on the photos and expand for a better view - it will also display the saddle details and prices. Please contact us if you need more information. If you are looking for a saddle custom made to your requirements contact us or go to Our Saddles page. Often there will be some new saddles for sale as well. This is a great opportunity to purchase a new saddle ready to ride in with no waiting time at all.